Onpage Hero extends Google Analytics functionality with unique custom dimensions. This time, we are focussing on automatically validating the structured data of each page using the Protocol Onpage Hero custom dimension. Firstly, make sure you have the Protocol dimension selected as part of your Onpage Hero plan. 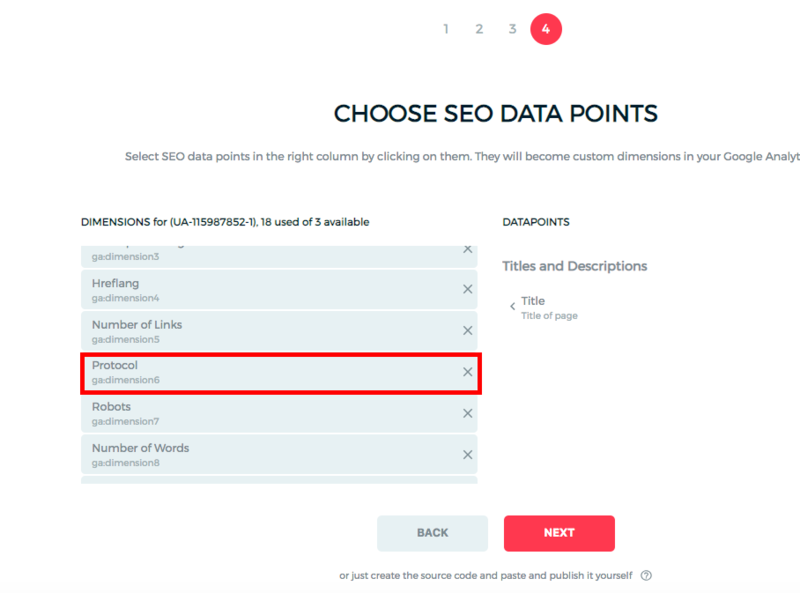 Free plans allow you to add up to 3 datapoints, whereas paid plans allow up to 20. The options on the left show the datapoints applied to this property. 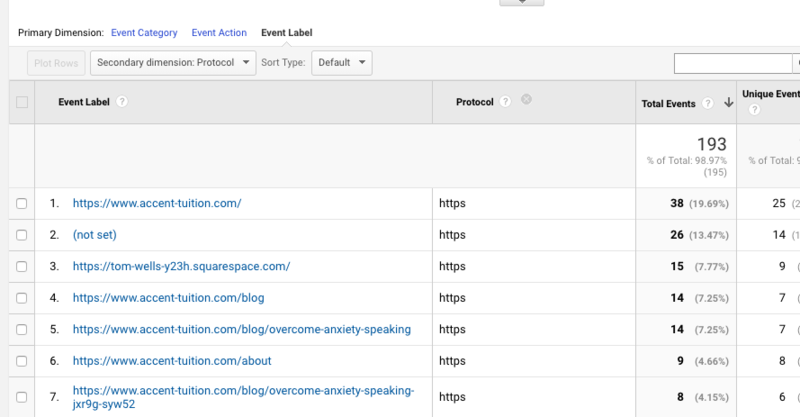 Select the Protocol dimension, click NEXT, then VIEW ANALYTICS to jump into your Google Analytics property. Why is HTTP protocol important? Knowing how your pages are being served to your users is important. If you notice that some pages are being requested via HTTP, you should consider changing this to the more secure HTTPS. 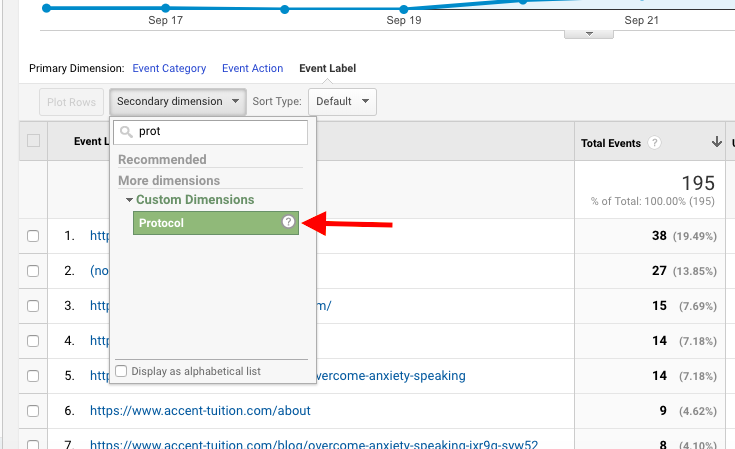 To find the Protocol custom dimension in Onpage Hero, simply navigate to your default view within in your Google Analytics property. Ok, let’s take a look at the data. So, type “protocol” as a secondary dimension to display the results. Our results show that all our users accessed the site using HTTPS. This means that our site is secure and operating correctly.